One fascinating thing about having been present during the emergence of critical awareness in Philippine cinema was observing how games of auteur favoritism played out: who would be the critics’ favorites and how would the rest fare in relation to them? The way the rules were formulated – a series of commentaries by organized critics that built up toward an annual awards ceremony – made for dramatic though ultimately hollow displays as a community of artists would be set one against another, with those who won more trophies regarded as first among their peers. The problem would be not so much the occasional lapse in judgment (Ishmael Bernal losing as director of “Manila by Night,” Nora Aunor undervalued for some of the best performances in global cinema) as the regressive impact of film awards on cultural understanding; awards could not serve as periodic summation of critical evaluation simply because there is rarely any real criticism behind them. Influence-peddling probably, favoritism definitely, but critical thinking? Only if we accept celeb-fetishism as worthy of serious scholarly consideration. Marilou Diaz-Abaya was one of the early victims of this still-ongoing practice of intellectual barbarism masquerading as earnest cultural analysis. Emerging fully formed and initiating a so-far unparalleled film series on Philippine femininities, mostly with the same team of close associates providing assistance, she met with dismissive responses from the exact same group of people who should have known best. Her recent death, after an extended bout with breast cancer, had met with a lot of appreciative reminiscences, evidence of the care and humor with which she prepared for the end; yet whether this kind of appreciation will ultimately extend to her body of work – that both remains to be seen and does not excuse the neglect with which her practice had been met. None of her major films (except for two star vehicles on Viva Films) is available on DVD; their restoration might be all that remains, if justice deserves to be served, toward the rehabilitation of her stature as major Pinoy film artist. In retrospect, it would be easy to see how Diaz-Abaya could be so casually written off. Not only was she young, she had come from financial privilege and so could afford extensive film training, then-unavailable locally. Her circle included some of the most prestigious players the industry had ever seen: Ishmael Bernal mentored her, Jesse Ejercito produced her projects, and Ricardo Lee (the only one still actively practicing his craft) wrote scripts for her. It were as if she had been an interloper, and she had enough self-deprecating humility to preempt everyone in cracking jokes about her sheltered upbringing. Moreover, film practice at the time had attracted the finest talents in the country, facilitated in no small part by the fact that the Marcoses, despite their ruthless control of media, were sufficiently star-struck (Ferdinand won the presidency via biographical blockbusters, Imelda had screen-tested for the studio that produced her husband’s films) to treat film as their fair-haired child, their showcase of progressivity and proof to the world of their cultivation of democratic space. Thus critics had no lack of talent to uphold, and shelving a relatively young newcomer who came from the “wrong” (that is, the right) side of the tracks would not count for much when so many others and so much else could be celebrated. Lino Brocka could come up with an instantly recognizable global classic in “Maynila: Sa mga Kuko ng Liwanag” (1975), and Ishmael Bernal could presently respond with “Manila by Night” (1980), arguably an even more significant contribution. Diaz-Abaya staked her claim to this order of filmic discourse by proffering “Moral” (1982), which expanded the city-film setting to include the newly formed metropolitan area and focused on women’s issues. Differing from “Maynila,” “Moral” sustained the sexual politics and multi-character format of “Manila by Night;” if the Bernal film still stood heads and shoulders above everything else, then both “Maynila” and “Moral” might be seen as its proper bookends, one anticipating and the other upholding the middle production and sharing its stature as major Philippine film confabulations. What compounds the difficulty of evaluating Diaz-Abaya’s output was her restlessness which, given how limited her time had been, may now appear as an eagerness to cover as much ground as her seemingly boundless energy could allow. I had occasion to interact with her twice, once in graduate school when she dropped by New York on her way home from a European film festival, and another time about a year ago when her cancer had been in remission; each time I was with a “younger Marilou,” first film critic Bliss Cua Lim and then filmmaker Ellen Ongkeko-Marfil, and both times it still amazes me to recall how she had no other agenda except to indulge in intelligent exchanges. Earlier she had just finished “Milagros” (1997) and announced that she felt it was time to tackle films about men: “I’m not sure I’ll be as successful as I had been with [films on] women,” she said, “but I have to take this risk so I can know for sure.” More recently, she had just released her last film project, “Ikaw ang Pag-ibig” (2011), but she talked with undiminished excitement about teaching, research, writing, and spiritual preparation – everything (except perhaps the last) that I and everyone else I know had been doing. What will always haunt me about her is my envy about how she never allowed any limitation to stand in her way: she consorted with far older adults when she was young, opted for a profession dominated by biological men, ran with a crowd far removed from her genteel and well-heeled origins, pursued topics and challenges way beyond her comfort zone, and kept looking forward even with death staring her down for years. She welcomed the revitalization of film practice via the shift to digital technology, but was never remiss in cautioning against the dangers of excess privilege – and who better to know about this than her? 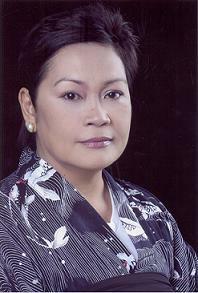 In one of several excellent interviews that have cropped up all over Philippine news outlets, she made mention of how indie-film production could entrap its practitioners; after affirming how respect for the audience should be “non-negotiable,” she proceeded to explain the merits of the currently most popular (and consequently most derided) local genre, the romantic comedy. This was a lesson that her generation of filmmakers learned the hard way: that the way to improve a much-abused mode of practice is not to reject it, but rather to seize it and transform it so that the people who attend to it will benefit from patronizing it. Marilou Diaz-Abaya had always connected and insisted on learning and never hesitated to share what she had. In a too-short lifespan she had earned much more than a beautiful farewell, but in the meanwhile that is all we had been able to give, even as the harder long-term work of revaluation lies ahead. Joel David is Associate Professor for Cultural Studies at Inha University in Incheon, Korea. Holder of a Ph.D. at New York University, he is the author of a number of books on Philippine cinema and was founding director of the University of the Philippines Film Institute.